Anti-ageing formula that combats fine lines, wrinkles, sun-damage and dull skin while improving skin clarity, rebalance uneven skin tone and diminish pigmentation resulting in soft, supple skin with a youthful glow. 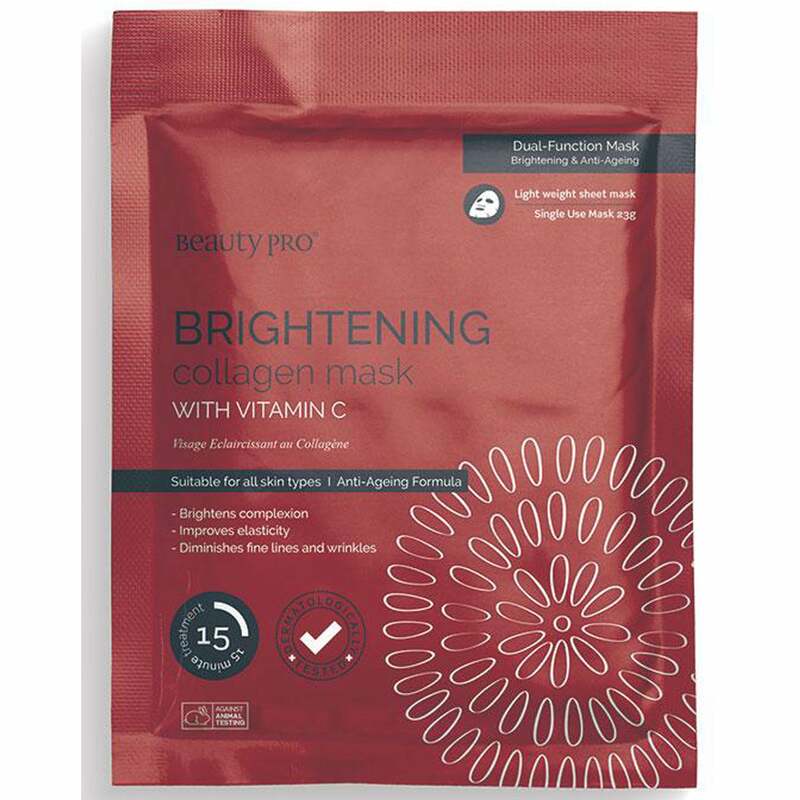 The science behind the BeautyPro Collagen Infused Facial Masks is the utilisation of marine collagen, combined with key vitamins, herbs and botanicals to improve skin tone and complexion. As well as long term anti-ageing benefits and improvement to your skin, our range of luxury masks are also perfect before a night out, special occasion or for pure indulgent luxury and relaxation. Simply cleanse, apply the mask to the face and then lie back and relax for 15 minutes. Cleanse the skin with the BeautyPro mask, remove mask from packaging, unfold and place on face wear for 15-20 minutes, remove mask, there is no need to rinse your skin, excess serum can be applied to neck and décolletage. BeautyPro is a multiple award winning range of skin care sheet masks developed for both Men and Women. Beauty Pro is proudly manufactured in South Korea noted as global leading innovator in the K-Beauty trend of sheet masks. Our products are scientifically formulated and dermatologically tested to provide only the highest quality of products that bring outstanding results. Our brand is against animal testing. The BeautyPro Sheet Mask range consists of products for the face, under eyes, neck, hands and feet to target anti-ageing concerns. The combination of marine collagen with skin rejuvenating key vitamins, herbs and botanicals for improved skin tone and complexion. BeautyPro’s vision continues to be a market leading brand in innovative and unique products.